My mother and I went fishing before Christmas. 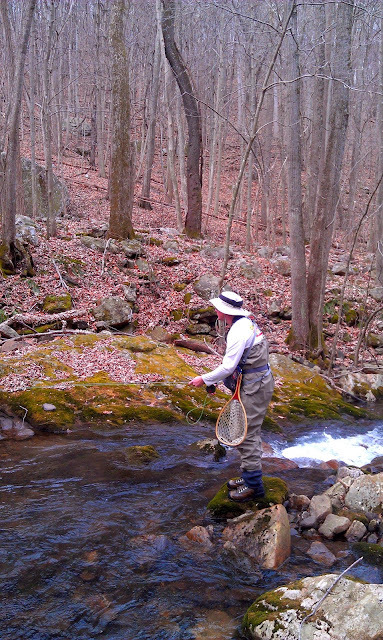 I have been wanting to take her to a wild trout stream for quite awhile. 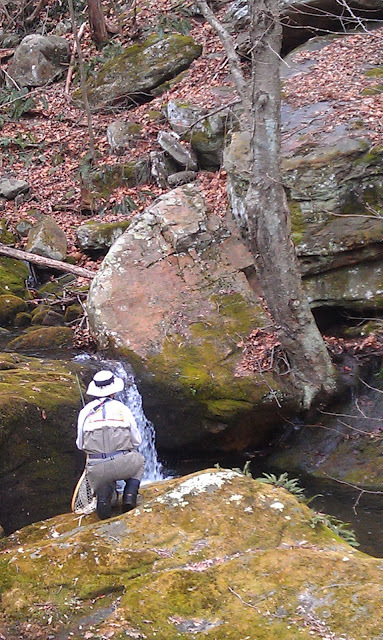 My hope was that she would catch a brookie. I was doing some research on a tip that smallmouth bass were one time stocked in a local stream. In my search I ran across this article. It goes over the history of stocking fish via train. I was surprised to find out fish were stocked coast to coast as early as the late 1800's. The technology as the trains progressed is very intriguing. "By the early 1920s, the fish cars had accumulated an impressive record. A 1923 report indicated that, over the previous 20 years, the output of the various hatchery activities amounted to 72,281,380,861 fish which were distributed by fish cars traveling 2,029,416 miles and detached messengers 8,104,799 miles." The article is very interesting. One of my favorite parts is about hiring a crew of people to aerate the water by hand as a shipment of striped bass traveled across the country. For a long time I have been bad mouthing Orvis. My main issue was how pricey their products are. I felt the brand name was synonymous with snob.What I started to notice was year after year I seemed to be buying more Orvis stuff. When I hit the stream now I sport a Orvis Chest Pack and Waders. It's not that I have more income or less access to other stores. I have found that Orvis has some pretty good deals now and then. Better deals than you can find at other stores and even online retailers. Even my beloved Sierra Trading Post can't compete sometimes. 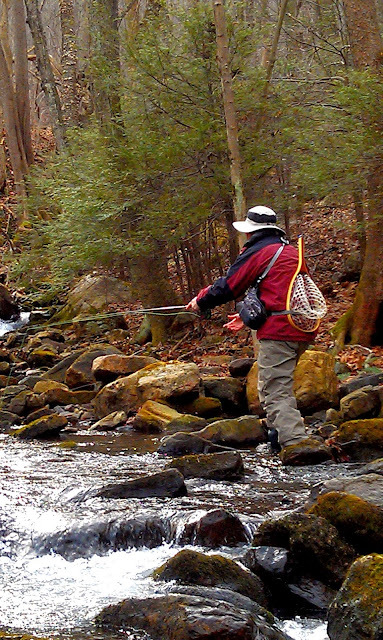 Orvis is also one of the few stores that seems to consistently provide programs to get people into fly fishing. Free fly tying and casting classes. They even offer a free trip on local waters here in the Triangle. 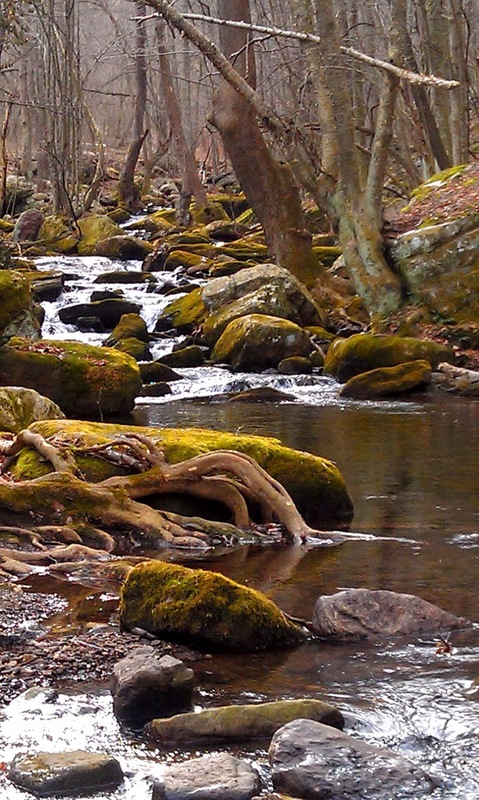 They provide all of the equipment, waders and boots included. Of course the end goal is hoping you'll get hooked and buy gear from Orvis. Still the gesture is there and it is getting more people exposed to the sport. If you sign up for their mailing list you will get coupons fairly regularly. The best coupons are the $25 off a $50 purchase. I mainly use these when I stock up on tying supplies. I have been looking for a decent cheap midge box for quite some time. I was surprised that Orvis had one of the cheapest options. 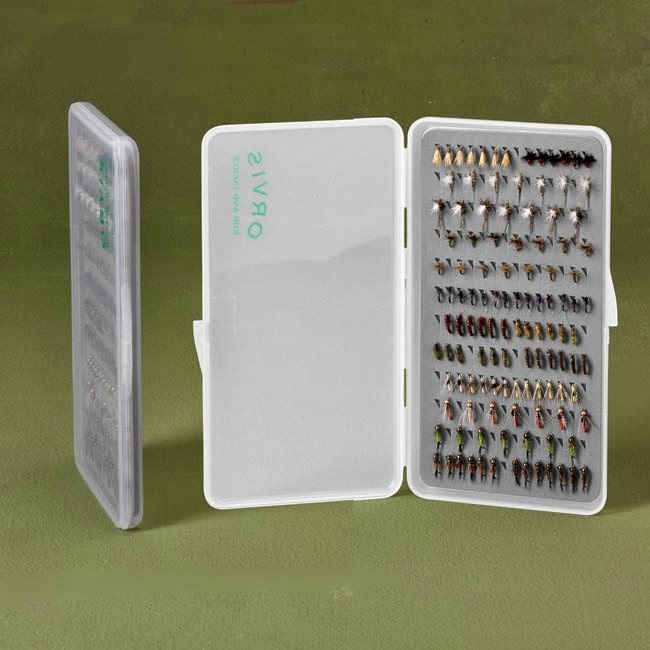 They have come out with slim pocket fly boxes. These boxes vary in several different sizes and no matter what size you choose they are all $10. The midge boxes come with a magnet at the bottom and fit great in your pocket or fishing pack. Orvis has really converted me into liking them. I still think many of their products are over priced but I have to admit they are good quality. Their fly tying materials are priced pretty much the same as most fly shops. I'm not recommending Orvis for all of your fly-fishing needs but I do suggest giving them a look the next time you're hunting for something. There are times in life when things just don't seem to fit right. The signs are obvious but we either deny they exist or try so badly to will them to change. I've always felt there is a rhythm to life. You can either go with it or against it. I just crawled back into bed with my wife. "You're not going she asked?" I was supposed to go fishing with someone for the first time but when I arrived at their house there was no sign of life. We had been communicating by email and he never gave me his number. I tried emailing him when I was there but never got a response. I waited 20min then headed home. Just as I was getting comfortable back in bed my phone rang. "You've got to be kidding me." I said. I reluctantly got up and checked the phone. An email was there stating that the person I was meeting slept through their alarm and asked if I still wanted to go. It was already an hour past when we were supposed to leave and I wasn't sure what to do. My gut was telling me the day was already done for and I should stay home. "You're already ready, you should just go." My wife said. I did want to go fishing. I grabbed my gear and headed out the door quick. Even with the feeling that I was going against the rhythm. Not just against it but at full speed. So fast in fact that on the way to meet back up with my fellow angler I was stopped by a policeman. Our greetings were short and I left with a ticket. Another sign that the rhythm of the day was just not right. I wondered if I should just head home. I told myself, even though not truly believing it, that what I needed if anything was a good fishing trip. After meeting up and hearing several apologies for the late start we headed to the coast. The forecast called for mid 60's weather and rain possibly in the evening. When we arrived it looked like the forecast was a little off. As we walked to the surf drops of rain started to hit our face. I felt this was just par for the course on this day. My new focus was just not to drown or get a hook stuck in my head. I figured that's where this day may be headed. There was no surprise when I saw absolutely zero bait in the water. I still figured the day may be salvaged with one fish. One fish to make the whole morning go away. Then my line jerked and started to move with the current. "Got one!" I yelled. Something wasn't right. This fish wasn't fighting very hard. As I brought it closer I couldn't even tell what it was. Turns out it was a dead fish. 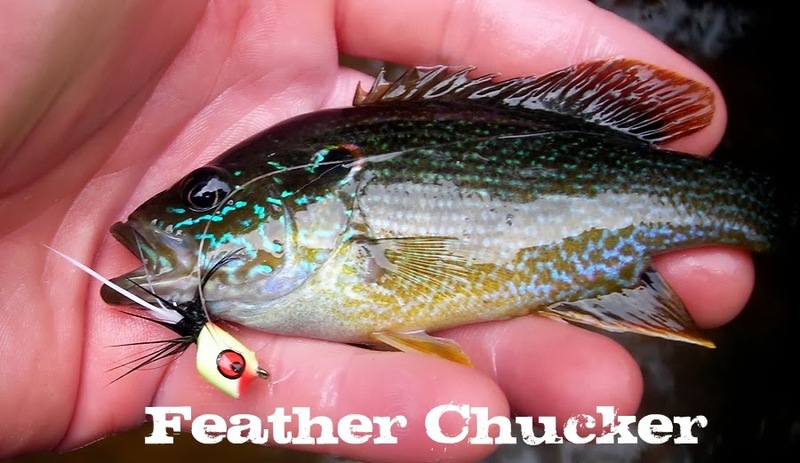 Those usually aren't biting but when the rhythm is disturbed anything can happen. Going over the positive things in my life and trying to learn from my mistakes is all I could really do to brighten up the day. In the end the rain stopped and I knew there were a lot worse places I could be. I started to fish less and watch more. Several porpoise breached the water in the distance. The sun tried to show itself several times creating beautiful scenery. Even with the events of the day I was able to fall back into rhythm.